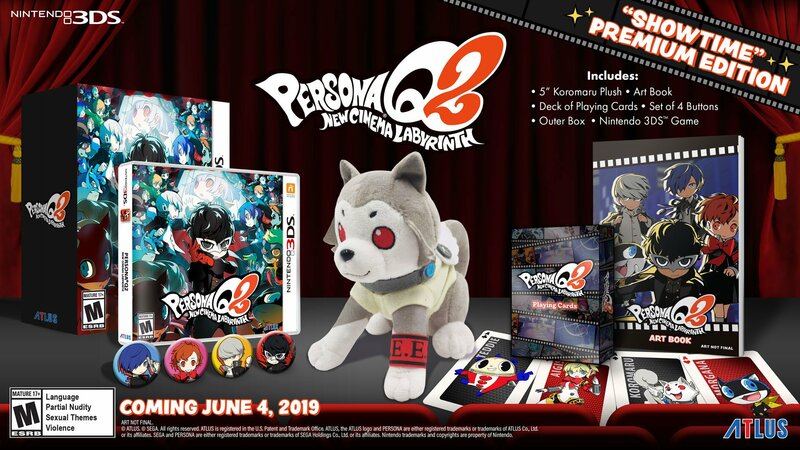 For all of you Persona fans out there that have been waiting for Persona Q2: New Cinema Labyrinth to come over to the West, you won’t have to wait much longer. Atlas have at long last confirmed that they are bringing Persona Q2: New Cinema Labyrinth to Europe and North America on June 4th, 2019. The standsard edition will cost $39.99 and a special Showtime Premium Edition will set you back $69.99. If you don’t opt for the Showtime Premium Edition and pre-order a physical copy. You will get the launch edition which, comes with the same Four buttons included in the Premium Edition.